Potassium is taken up by the roots as the potassium cation and is distributed throughout the plant in inorganic form where it plays an important role in plant metabolism. For balanced growth the nitrogen to potassium ratio should be 1:1 for most crops, but 2:3 for roots and legumes. Leafy crops take up large amounts of potassium, especially when given large amounts of nitrogen. Where potassium supplies are abundant some plants, especially grasses, take up 'luxury' levels, i.e. more than needed for their growth requirements. 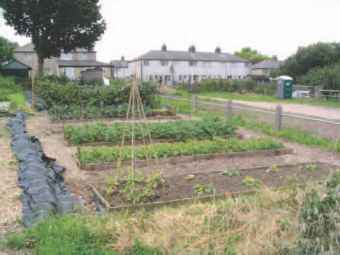 Consequently, if large proportions of the plant are taken off the land, e.g. as grass clippings, there is a rapid depletion of potassium reserves. Potassium forms part of clay minerals and is released by chemical weathering. 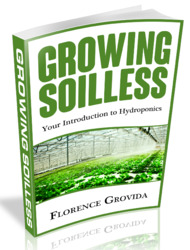 The potassium in soil organic matter is very rapidly recycled and exchangeable potassium cations (see p371), held on the soil colloids and in the soil solutions, are readily available to plant roots. Potassium is easily leached from sands low in organic matter and from most soilless growing media (see Figure 21.4). Potassium and magnesium ions mutually interfere with uptake of each other. This ion antagonism is avoided when the correct ratio between 3:1 and 4:1 available potassium to magnesium is present in the growing medium. 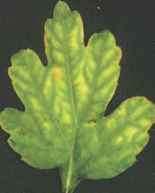 Availability of potassium is also reduced by the presence of calcium (see induced deficiency). The main potassium fertilizers used in horticulture are detailed in Table 21.2. Although cheaper and widely used in agriculture, potassium chloride causes scorch in trees and can lead to salt concentration problems because the chloride ion accumulates as the potassium is taken up. Commercial potassium sulphate can be used in base dressings for composts, but only the more expensive refined grades should be used in liquid feeding. More usually potassium nitrate is used to add both potassium and nitrate to liquid feeds, but it is hygroscopic. Most potassium compounds are very soluble so that the range of slow release formulations is limited to resin-coated compounds.